Khirbet Badd ‘Isa is located in the center of the modern settlement of Qiryat Sefer (Ma‘ale Modi‘in), on a hillock 301.15 m above sea level, along the road leading north to Kharbata from the Beth-Horon–Jerusalem route. The site has been surveyed several times and looted over the years. It was first occupied as a temporary agricultural installation at the end of the Ptolemaic period, in the third century BCE. Permanent settlement began at the end of the Hasmonean period and lasted to the Second Jewish Revolt. With the suppression of the revolt, the site was abandoned and reoccupied only in the third century CE. 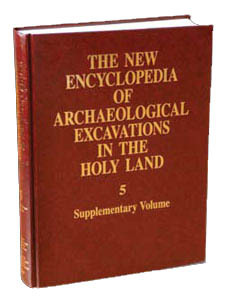 Three seasons of salvage excavations were carried out at the site in 1995–1997 by Y. Magen, Y. Tzionit, and O. Sirkis on behalf of the Staff Officer for Archaeology in Judea and Samaria. The site is divided into three main areas: the central hillock, northern complex (buildings I–VI, including the synagogue), and southern complex (buildings VII–VIII). THE CENTRAL HILLOCK. The initial settlement was in a natural cave in the central hillock, where apparently agriculturalists first occupied the site during the Hellenistic period. Later remains from the Early Islamic period were also found inside the cave. Cut into the bedrock on the central hillock were cisterns, a treading floor, and a winepress. A mikveh attached to a large cistern, as well as a large Byzantine winepress, were revealed on the eastern slope of the hill.